On the sidelines of the auction event organized by RM Sotheby's Auction in Monaco some time ago, there was a super rare Porsche radical-looking car sold at incredible prices. 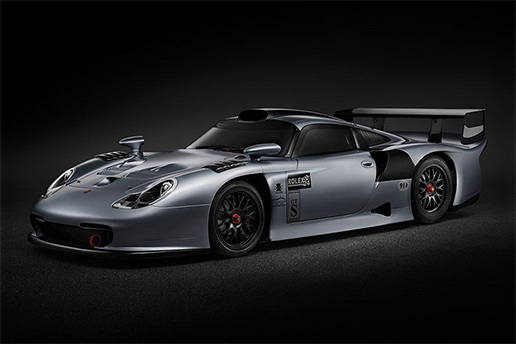 The auction's last bidding figure showed at the priced of US $3.12 million, or at least equivalent to Rp.42 billion successfully penetrated by a one-off model of the Porsche 911 GT1 Evolution that has been transformed specifically for the use on the public roads (road-legal). This one-off Porsche 911 GT1 Evolution was the result of restoration which has been carried out by the specialist crews of Lazante Motorsports in the UK with a cost of no less than £300 thousand, or equivalent Rp.5.8 billion in 2014-2015. A radical supercar with racing DNA is powered by a 6-cylinder engine with a capacity of 3,164 cc and also equipped by 2 units of KKK turbocharger, so it can produce the power more than 600 hp. The engine power channeled to its four wheels through the 5-speed manual transmission system.